Integrated semi-transparent photovoltaic technology as a basis for emission-free energy production. Our PV-insulating glass offers efficient exploitation of solar energy in combination with all conventional insulating glass features such as safety glass, heat- and sound insulation, shading and semi-transparence. This product enables the extensive use of solar energy and expands the possibilities of architects and planners. 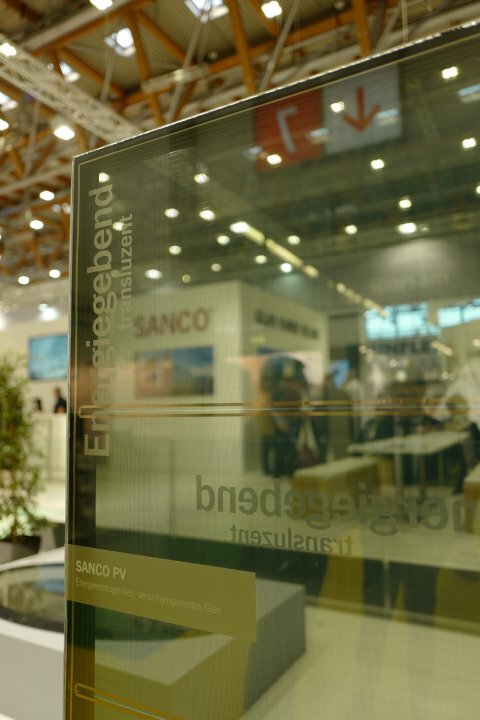 Our glass with integrated photovoltaic technology.